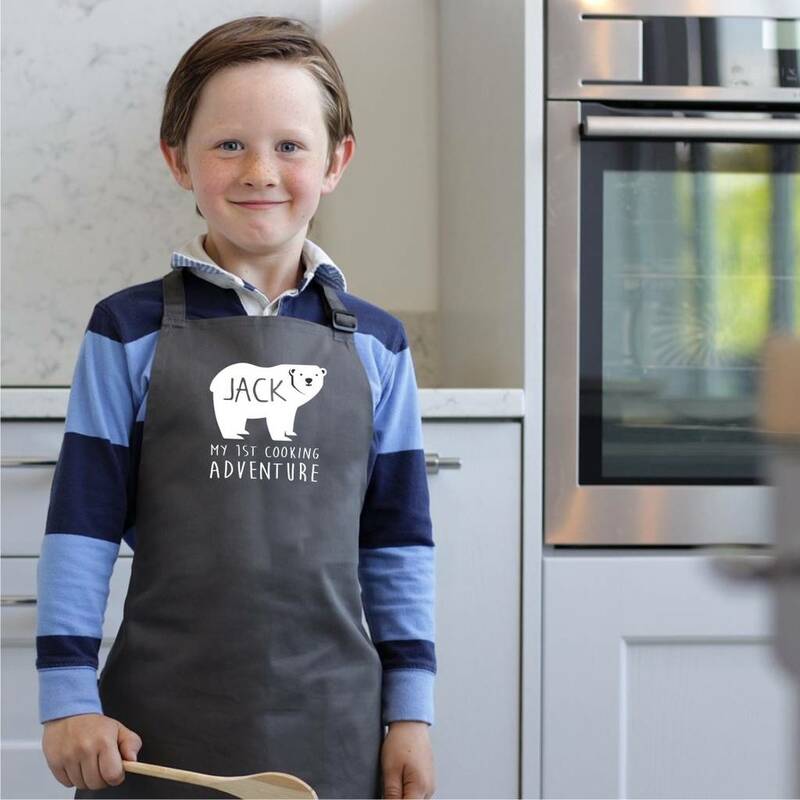 Introducing our My First Cooking Adventure Kid's Apron. We think these childrens cooking aprons make a great gift for a budding Masterchef or Baker when they are helping Mummy or Daddy in the Kitchen. 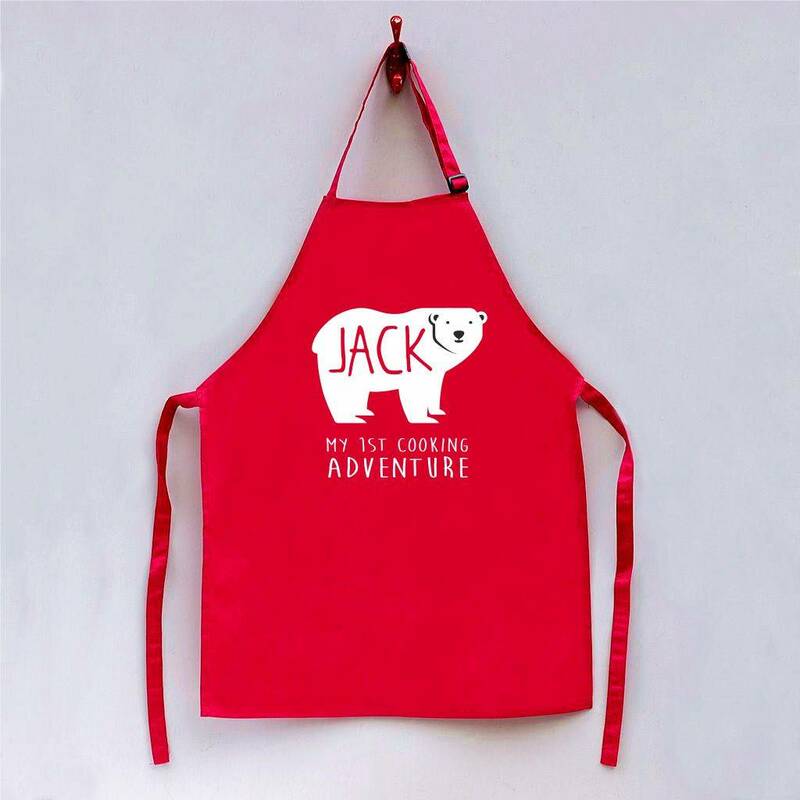 Personalise these aprons with your child's first name inside the Polar Bear Design. All of our Aprons are hand printed by us in our studio in Lancashire. 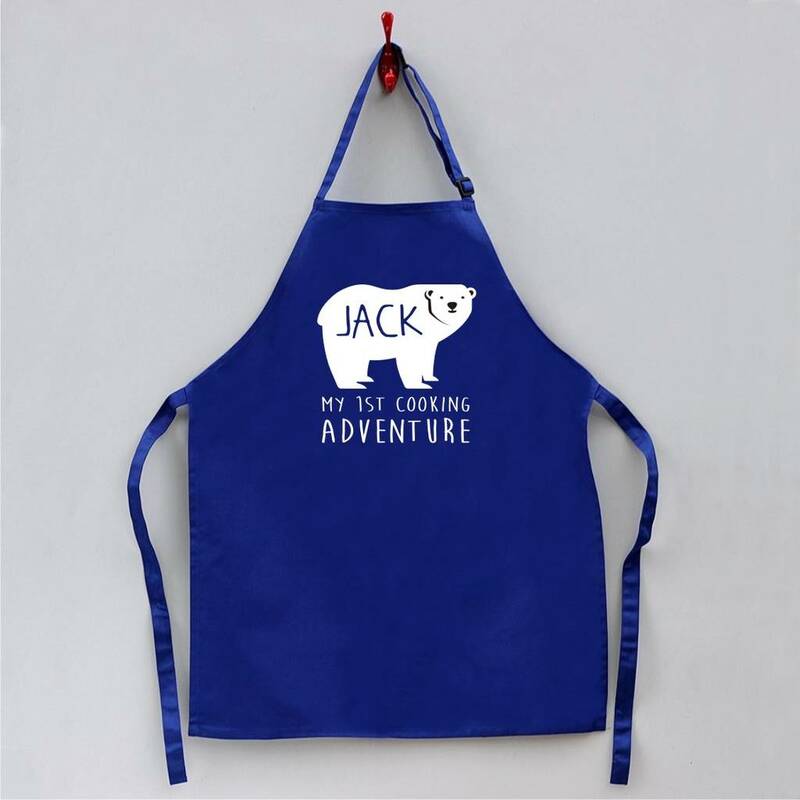 You will love our Aprons with our Cute Polar Bear Motif, which will look lovely and festive over the Christmas Holidays. 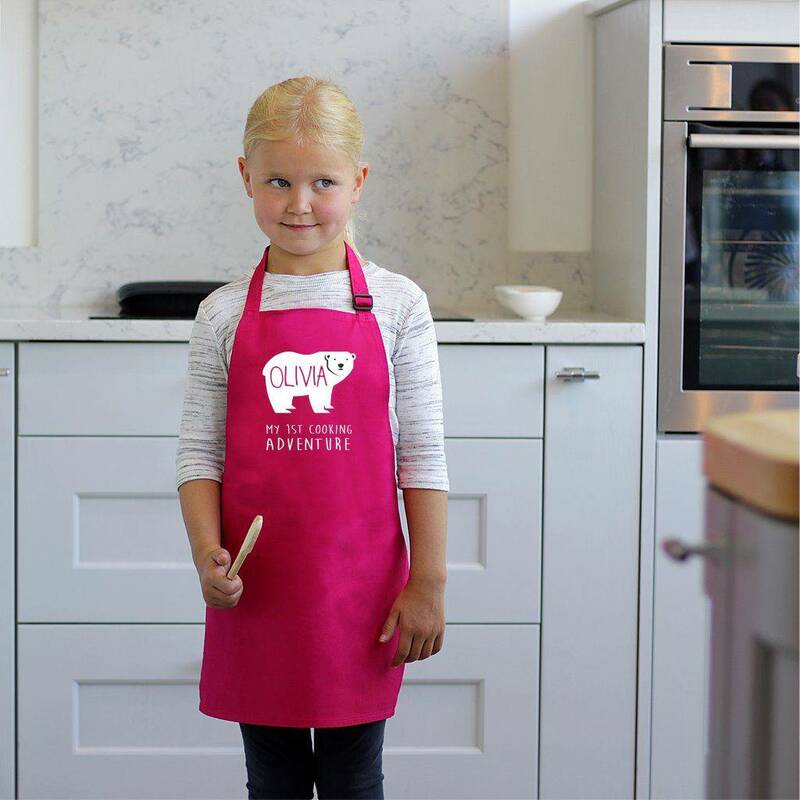 Our Children's Alphabet Aprons are available in a choice of 5 colours: Blue, Red, Hot Pink, Grey and Lemon. 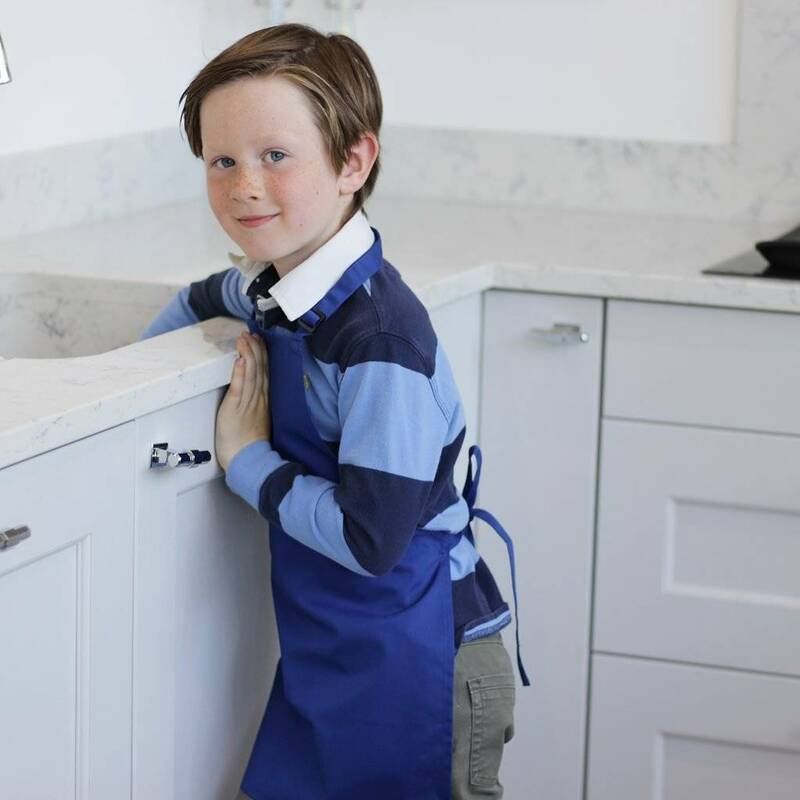 Our Aprons have a adjustable self-fabric neckband with a snap release safety feature. Made from 65% polyester and 35% cotton twill. Machine washable (as we think they might get a little messy). This product is dispatched to you by Jack Spratt.